1. 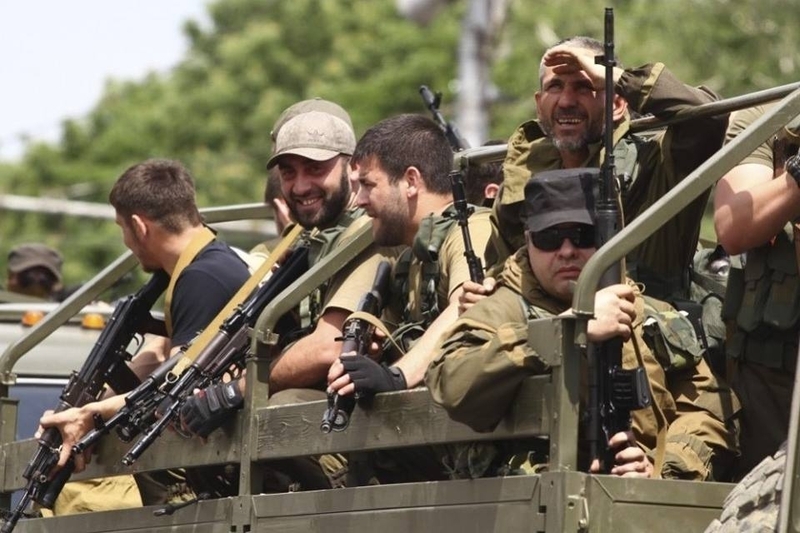 My take is that the risk of sustained warfare in the Donbas has gone up since my last post, beginning with the ambush by pro-Russian separatists on May 22 that killed some 16 Ukrainian soldiers and injured over 30. That said, the next several weeks will be critical. If Kyiv manages to keep a lid on the level of violence while taking control of significant territory in the Donbas, we may see the violence start to abate. I think that is quite unlikely, however, given the escalation of violence, particularly the battle over the Donetsk airport, and the number of fighters who have taken up arms for the “Donetsk Republic.” It will be particularly difficult for Kyiv to gain operational control of the cities of Donetsk and Luhansk. 2. As I wrote earlier, I doubt that Moscow has the ability to modulate the level of violence in the east at this point. If, however, the Kremlin really wants to at least try to avoid an all-out war in the Donbas, it will have to take two steps, neither of which is likely: (1) cut way back on its propaganda campaign that seeks to convince Russian speakers in the east that Kyiv is in the hands of fascists and extreme Ukrainian nationalists; and (2) prevent more “military tourists” and weapons from crossing the border into Ukraine. 3. The number of “military tourists” in eastern Ukraine, the great bulk of whom are Russian citizens (including Russian “citizens” from Crimea), appears to be increasing. There is also clear evidence from multiple sources, including video clips, that some of the outsiders are Chechens. In video footage I saw yesterday, one can see an apc with “Vostok Battalion” embossed on a plaque on the side (a reference to a special forces unit comprised mostly of Chechens that operated in Chechnya until it was disbanded in 2008). I also heard an interview in which two militants in the back of a truck (quite possibly one of the trucks that was later destroyed by the Ukrainian military in their counter-attack on the airport) say in heavily accented Russian that they were from Chechnya and either were, or had been (it was ambiguous), Kadryovtsy (that is, members of the forces loyal to Ramzan Kadyrov, the warlord-president of Chechnya). Kadyrov has recently denied ordering any of his forces to enter eastern Ukraine, although he threatened to do so several weeks ago. Moreover, the Financial Times today quoted several militants who admitted they were from Chechnya, as follows: “Our president [i.e., Kadyrov] gave the order. They called us and we came.” There have also been multiple reports that at least one of those killed and several of the wounded in the battle for the Donetsk airport were Chechens. The Financial Times report quoted another Chechen fighter as stating, “They’ve killed one of our guys and we will not forget this. We will take one hundred of their lives for the life of our brother.” Anyone in the least familiar with the warfare in and around Chechnya since the early 1990s knows that Chechen boyeviki have been incredibly lethal (and brutal) fighters not only in the North Caucasus but elsewhere as well, including most recently Syria. If there are indeed a significant number of Chechen boyeviki in eastern Ukraine now, and especially if that number grows, the fighting is likely to get more ugly very quickly. That said, it is also worth noting that Chechens don’t usually fight alongside Cossacks and Russian nationalists (although there have been exceptions, for example in Abkhazia in the early 1990s), and their presence in eastern Ukraine is not likely to be welcomed by the region’s Orthodox Slavic majority. 4. I have also seen considerable evidence in the last several days that pro-Ukrainian autonomous militias outside the command structure of the Ukrainian armed forces are forming in the east as well – notably but not only the so-called Donbas Battalion (you can see footage of interviews with their militants on Vice News and on the New York Times’ international video page). My impression is that most of the fighters in the Donbas Battalion are local but some are also clearly from western Ukraine, although that does not mean they are necessarily members of Pravy Sektor. Nevertheless, I suspect that Pravy Sektor types are also becoming more involved in the armed conflict in the Donbas. 5. I read a credible report yesterday that some of the sophisticated weapons being used by the separatists were identified as having come from Ukrainian arms depots in Crimea. If so, it is certainly possible that they were seized by “self-defense forces” that then smuggled them into Ukraine on their own, but it is also possible that Russian security forces have been involved in getting these “liberated” weapons into the hands of the separatists.